Since 2002 I have been working full time as web designer and developer, with expert knowledge of HTML/HTML5, PHP, CSS, ADOBE, etc. Within the past 10 years I have also been a dedicated and loyal user of WordPress for a all of my blog design projects. So after hundreds of WordPress blog design projects I am confident in my ability to to evaluate the ins and outs of this particular CMS platform. The beauty of using WordPress is the intuitive ease of use once properly set up and configured by a WordPress developer. The ability for the client to have complete control over their own content. The prime optimization effects of WordPress for SEO and site indexing. And the overall flexibility of it’s components such as sidebar widgets and shortcodes. To Start, What Exactly Is DreamPress? Think of WordPress. You got it? Cool. Now, think of that WordPress install, but on steroids! Picture it running on a specialized, optimized, virtual private server. Yeah, this is far from your average WordPress hosting package, isn’t it? DreamPress comes pre-configured by our in-house WordPress experts for maximum security and performance under traffic load. This is our call-out to all entrepreneurs, website designers, developers, and bloggers to give it a test-drive today! Tuned server and WordPress configuration, unmatched VPS automation for superior response and high scalability, and including performance consulting to keep your environment at its peak! Get advanced security features including random table prefix, randomized Salt, .htaccess protection from script execution in uploads, hardened permissions on configuration files, MySQL shielded from remote access, WordPress core auto-upgrades, automatic Web application firewall rules to prevent common attack vectors. Our expert technical support representatives are available 24/7 via email, live chat, and you can reach a human being over the phone. Our 100% uptime guarantee means we take our job seriously! DreamHost is committed to customer satisfaction. Every account is backed by a 97-day money-back guarantee. Backup to DreamObjects Public Cloud! Unlimited Page Views – At least during the beta release, Dreamhost has not put any clear restrictions on the usage of your Dreampress website. While this may change later, based on a post at Half-Elf, I would guess that Dreampress might eventually set tiers based on CPU and memory usage as opposed to page views. Ability to Use any WordPress Theme or Plugin – Other managed WordPress hosts restrict plugins that can affect the performance of the websites they host. While this is meant to help speed up websites and ensure great service on these managed WordPress hosts, it has been a controversial decision at times. Robot Assisted Migration – Dreamhost has created an easy migration tool to take the pain out of moving your website to Dreampress. Built-In Caching Through Varnish – This is part of the technology that Facebook uses to serve billions of requests daily across the world and it is becoming the industry standard for caching WordPress websites. Rest assured that your website will run very snappy! Separate MySQL and Web Servers – Dreampress will run your website off of two VPS servers. One will specifically be used for serving web content with varnish caching enabled. The other server will be used for all database requests. This is tech speak for your website will run fast! And Other Goodies – Dreampress will also include an easy-to-use control panel and great support! Starting a blog site and already have a very large following. 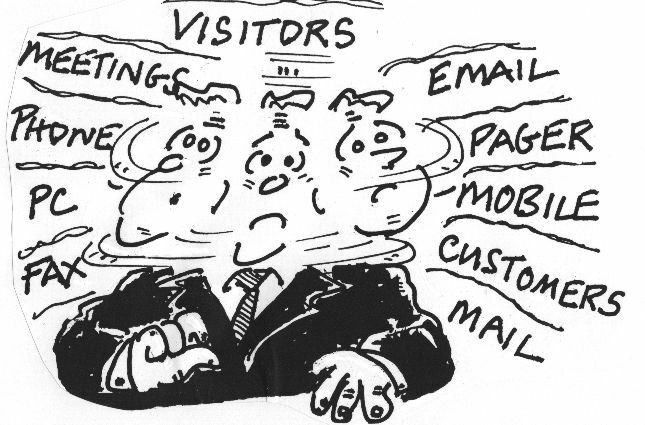 You can anticipate a larger audience (thousands, hundreds of thousands and up) visiting your website weekly / monthly. DreamPress costs $24.95 per month unless you already have a Dreamhost hosting plan , if that is the case your monthly fee is only $19.99 per month. If you need it, I highly recommed getting it. The great thing is you have a 97 day money-back guarantee as long as your hosting account is active. You have nothing to lose. Note: DreamPress is a managed service, which means we have restricted certain actions that users can take that would irreparably break their WordPress. Note: DreamPress is a one-site service. Users can have multiple DreamPress instances for multiple sites, and they can mix and match it with shared, VPS, and dedicated as well. No configuration or modification of the VPS instances. They don’t show up as standard VPS. Can’t set memory on the VPS. The memory is configured and scales automatically. No admin users or SSH keys on the VPS instances. Unable to add or remove users or domains on the VPS. One sftp user and the domain you choose will be configured automatically. Unable to add or remove databases or hostnames on the MySQL VPS. The database and hostname will be created automatically for WordPress. Unable to delete the web or MySQL VPS instances independently. To delete the VPS instances, go to Domain > WordPress and click on the “Downgrade” or “Delete” buttons. Unable to add Wildcard DNS, as DreamPress does not utilize a standard Dreamhost VPS.